Some days are tougher than others…….. This one wasn’t one of those days. How good is the view? 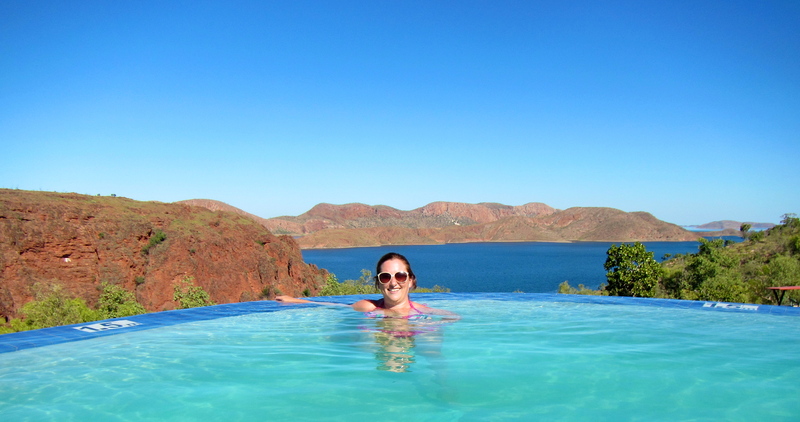 Am at Lake Argyle in Western Australia, what’s not to like about a place like this? This is my first taste of the Kimberleys in WA and I like it! The road here built on what I saw approaching Timber Creek and in desperation for a good soundtrack I tried the radio to see if I could pick up anything. Turns out a local resort has it’s own station and was paying “Everybody’s Kung Fu Fighting…….Whoa” Anyway, I tried to think about what it must have been like here back in the day while kick boxing in the car. Instead of wagons, I followed a possession of caravans and camper trailers into Lake Argyle.